Donate to support our stories. Learn more about us. Can you name one story in the media today that’s from a Lao perspective? 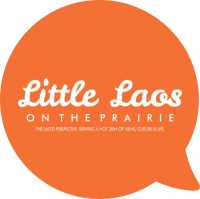 Little Laos on the Prairie (LLOTP) is an internationally recognized online publication with thousands of fans and followers in the United States, France, Australia, Laos and elsewhere. We’ve been featured on Twin Cities Daily Planet, Minnesota Public Radio, Star Tribune, Pioneer Press and others. With local roots in Minnesota and a global coverage, we believe in highlighting the voices of the Lao. LLOTP operates on a volunteer basis to bring the stories of our community to the forefront and we are in need of your support as contributors of the literary movement. Become a part of the Lao’d movement and contribute at any level. You can sponsor a story, a bLAOgger, a campaign, or become a monthly, quarterly, or yearly contributor. Indicate to us if you would like to sponsor an event, campaign or general LLOTP support. What does LLOTP need contributions for? Globalized Engagement. Driving social media engagement with readers from all across the world. Special access to related community events, festivals, screenings, etc. LLOTP is a program under The SEAD Project. All donations are tax-deductible. LLOTP welcomes in-kind donations such as skills and software in graphic art, marketing, writing, etc. If interested in becoming a sponsor, please contact Chanida Phaengdara Potter at editor@littlelaos.org. Whether it’s $10, $20, $50; any amount helps continue our work. To contribute, click on the ‘donate’ button above or here.